Send a message to Stephen Harper right now. 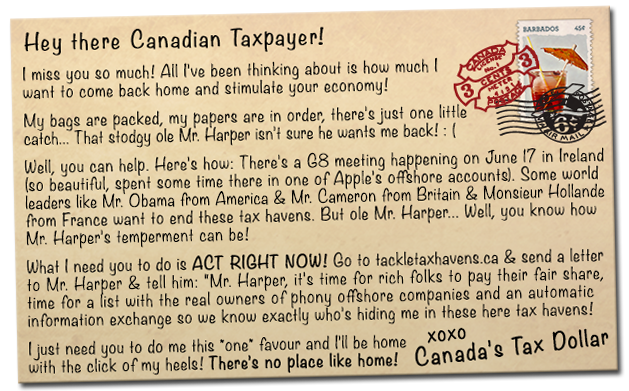 Tell him you want Canada to join G8 leaders in endorsing UK PM David Cameron's tax haven action plan that discloses the true beneficial owners of offshore accounts and automatic information sharing. We've included a pre-drafted message for you. But if you'd like to edit the message, a personal touch will have more impact with politicians. After sending your message, please share this with your friends on Facebook & Twitter.